Wellington – Reigniting rural productivity is critical for farmer profitability and New Zealand’s global competitiveness, a benchmark technology study says. New Zealand’s reputation as a world-leading provider of agricultural technology solutions continues to grow and connectivity is the heart of technological progress, the first-ever NZTech Digital Nation report says. NZTech chief executive Graeme Muller says production costs have put pressure on the competitive position of New Zealand agriculture in world markets. Reversing a slowdown in productivity growth is critical given the challenges the sector faces with strengthening environmental regulation. “Future expansion, particularly in dairy, is now challenged by the impact of land use on water quality. Digital agriculture, in the form of precision farming, big data, sensor technology and drones, delivers a new potential for productivity gains across rural New Zealand,” Muller says. “There is an enormous opportunity for New Zealand to use technology as a means to support the economic growth of our agri sector and to also work with the sector to become a world leader in a fast growing agritech market. “Rural New Zealand is predominantly devoted to agricultural activities. Despite being outside the tech sector, agriculture is a big user and creator of technology. Agricultural producers are generally low users of Internet services relative to other industries, but they are still highly connected. One example is Fujitsu which has developed a connected cow product that detects oestrus signs in dairy cattle from changes in step count data. Cows are fitted with pedometers, connected to on-farm receivers. Step count data is transmitted to a Microsoft Azure cloud-based service that detects oestrus signs and sends an alert email to the dairy farmer. A sharp increase in the step count is a reliable indicator of oestrus. Dairy farmers can arrange for insemination at exactly the right time, a huge time saver that improves farm management and reduces the lost opportunities from missing the signs of oestrus. Another example is New Zealand hi-tech sensor company, Outpost Central, whose sensors are being used on farms throughout the world to make informed decisions about how much water to irrigate where to obtain maximum growth with minimum water. 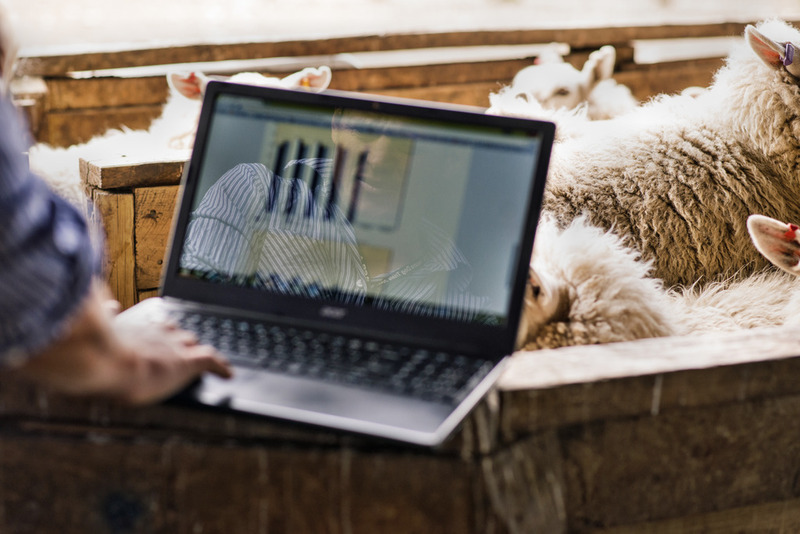 Internet connectivity and broadband also brings the prospect of increased digital customer interactions for businesses such as Alliance, Farmlands and Fonterra. Digital agriculture, in the form of precision farming, big data, sensor technology and drones, delivers a new potential for productivity gains across rural New Zealand, the report says. Research undertaken by Coriolis Research found that New Zealand provided about $1.2 billion worth of agritech exports in 2013. A comparison between New Zealand’s agritech exports and its key competitors shows New Zealand is underperforming in the absolute size of agritech exports but is showing good growth. As the fastest growing tech sector globally, agritech provides New Zealand with enormous opportunities for export growth.